This one is super exciting because the date matches the first 8 digits of pi! Wow! but then, I decided to join in on Terri's (from Love and Confections) Pi Day event and 9:26 would've been a bit too late to post! Actually, I had it go up at 5:26 am my time...so it was 9:26 somewhere, right? Chocolate and mint is one of my very favorite flavor combinations. This lovely pie has both flavors perfectly balanced to mimic my favorite girl scout cookie: Thin Mints!! Plus is green for St. Patrick’s day later this week! Welcome to Pi(e) Day hosted by Terri from Love and Confections! Pi Day is celebrated every March 14 by math fans around the world - and also bakers and pastry chefs. Pi is an non-repeating, infinite number represented by the Greek letter π, and used to represent the ratio of the circumference of a circle to its diameter. Today, March 14, 2015, is an extra special Pi Day, because at 9:26:53 AM it creates the "Pi Moment of the Century". The first ten digits of Pi are 3.141592653 (3/14/15, 9:26 AM and 53 seconds). This exact date and time happens once every hundred years - a once in a lifetime moment for most of us. How cool is that? Today, 20 Food Bloggers have gathered and want to celebrate the fun of Pi by creating their own sweet and savory pies to share with you. Hope you have a delicious day! Buffalo Chicken Shepherd's Pie from Healthy. Delicious. Place the Oreos and Thin Mints into the bowl of a food processor and process until crumbled. Add the butter and process until the ingredients are combined. Press the crust across the bottom and about half way up a spring form pan (or a deep pie plate). Place in the refrigerator for at least 30 minutes. To make the mint layer, beat the cream cheese and powdered sugar until smooth. Stir in the mint extract and food coloring until combined. Last, gently fold in the cool whip and chocolate chips. Spread evenly across the cooled crust. To make the fudge layer, whisk together the pudding mix and milk in a saucepan over medium heat. Bring to a boil, whisking frequently. Add the chocolate chips, stirring until melted. Cool slightly, then pour over the mint layer. Refrigerate the pie for 2 hours or until set. Garnish the pie with additional cool whip and thin mints. Serve cold and refrigerate any leftovers. Amy...this is a gorgeous pie!!! I just drooled all over my computer. Happy Pi day. Thin Mints are my favorite Girl Scout cookie and I would probably devour this pie. Great choice and thanks for joining! Oh my word! My FAV, Thin Mints. Cannot wait to try!!! Happy Pi(e) Day! 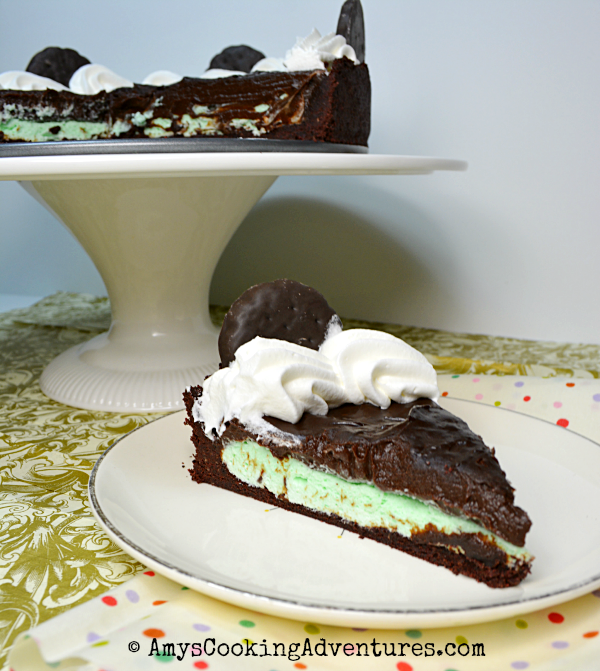 Love chocolate and mint- great looking pie, yum! Oh, my gosh! 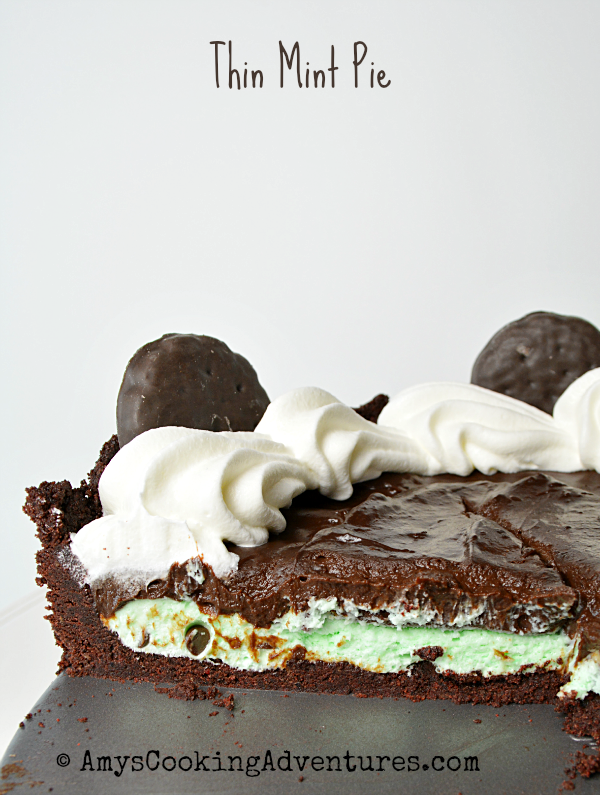 My kids love thin mints and this pie would be a hit here! Looks fantastic! Happy Pi(e) Day!! A girl after my own heart (I love thin mints) - this sounds SOOOO good! 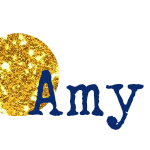 Holy Smokes Amy! This pie is divine looking!! I just love the combo of chocolate and mint :-) Fantastic job! I always assumed that Thin Mints were everyone's favorite Girl Scout cookie and was shocked to hear that some people prefer Samoas or the peanut butter ones. Not that I don't like those too. This pie is fabulous, Amy! While I may not be a fan of mint in my desserts I cannot deny that this pie is quite pretty! Love the layers. I love thin mints so I am OBSESSED with this pie!!!! !